The TaylorMade Loyalty Program (the “Program”) is a U.S.-based loyalty program offered at the sole discretion of Taylor Made Golf Company, Inc. (“TaylorMade,” “we,” or “us”) and these Terms and Conditions (the “Terms”) govern your participation in the Program. By participating in the Program, you agree to be bound by these Terms. We have the right to change or modify these Terms and Conditions or terminate the Program at any time, for any reason, without prior notice, even though such changes may affect the value of points already accumulated, the value of the rewards and/or the time for redemption. If we change the Terms, we will give you notice by posting the new Terms here. Those changes will go into effect on the “Last Updated” date shown in the revised Terms. To participate in the Program, you must be at least 13 years old and a legal resident of the United States. If you are at least 13, but less than 18 years old (or the age of majority in your state of residence), you must also have the consent of your parent or guardian before enrolling in the Program, and your parent or Guardian must read and agree to these Terms. 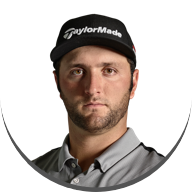 Officers, directors, and employees of TaylorMade and its respective parents, subsidiaries, and affiliates are not eligible to participate in the Program. Membership is limited to individuals. No corporations, businesses, organizations, or other groups are eligible to participate. By enrolling and participating in the Program, you represent that you meet these eligibility requirements. If you meet the eligibility criteria above, you may join the Program by creating an account at taylormadegolf.com. No purchase is required to join the Program. Limit one account per person. 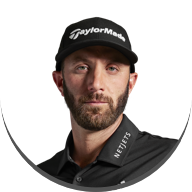 If you already have a taylormadegolf.com account, you are automatically enrolled in the Program, and participation in the Program will constitute agreement to these Terms. You must provide and maintain true, accurate, current and complete information about yourself. 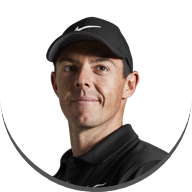 As a member of the Program, you will earn TaylorMade Loyalty Program points (“Points”) for purchases that you make on taylormadegolf.com, including regular and sale priced merchandise and gift cards. Dollars spent on tax and shipping are not eligible to earn Points. Purchases made with a TaylorMade gift card or with Points as the form of payment are not eligible to earn Points. If a member returns purchased items, the Points earned by those items will be deducted from the member’s Point total. Create a taylormadegolf.com Account: By creating a taylormadegolf.com account, a member will earn Points. If you already have a taylormadegolf.com account, your account will be credited with these Points. Refer a Friend via Email: If a member goes to the Loyalty Program dashboard on taylormadegolf.com when logged into his or her account, we will provide a member with a unique offer link that can be emailed to friends via our website. 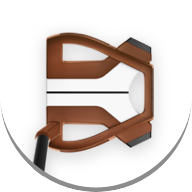 If a member’s friend(s) join the Program using the member’s offer link and makes a purchase on taylormadegolf.com, the referring member will earn additional Points. Sign up to Receive Our Newsletter: If a member goes to the Loyalty Program dashboard on taylormadegolf.com when logged into his or her account, and signs up to receive our Newsletter, the member will earn additional Points. Add Your Clubs to What’s in the Bag? 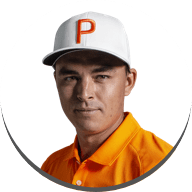 : If a member goes to the Loyalty Program dashboard on taylormadegolf.com when logged into his or her account, and completes all information requested regarding the golf clubs in your bag, the member will earn additional Points. These What’s in the Bag Points can only be earned once. Subsequent changes to your What’s in the Bag information will not be awarded Points. 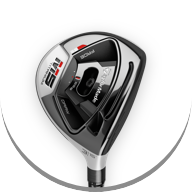 Trade-in Transaction:If a member trades in golf clubs, whether the golf clubs are made by TaylorMade or another manufacturer, in connection with the purchase of new, TaylorMade golf clubs on taylormadegolf.com, the member will earn additional Points. 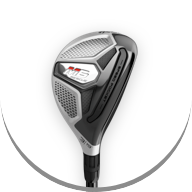 From time to time, TaylorMade, in its sole discretion, may change, discontinue, or add interactions by which members can earn Points and the number of Points earned, with or without prior notification to members. Members must be logged into their taylormadegolf.com account to receive eligible Points for their actions. TaylorMade reserves the right to retrospectively credit Points for interactions where a member was not logged in, provided sufficient proof is provided. Existing taylormadegolf.com account holders can start earning Points as soon as the Program is launched. 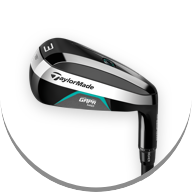 New members will earn Points from the date they create a taylormadegolf.com account. Normally, no prior transactions or interactions will be eligible for Points. Please allow approximately one week from the date your order shipped for Points to be credited to your account. 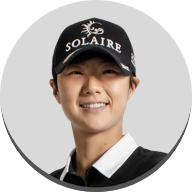 All Points earned by members are valid for 365 days from the date they are credited to your account and will expire at the end of this period on a rolling basis unless TaylorMade explicitly states otherwise. Points are not transferrable, have no cash value, and cannot be exchanged for cash. Par: Member spends $0-$749 within 365 days. Par members earn 1 point for every $1 spent. No purchase is required to be part of this tier. Birdie: Member spends $750-2,499 within 365 days. Birdie members earn 1.25 points for every $1 spent after $749. Eagle: Member spends $2,500+ within 365 days. Eagle members earn 1.5 points for every $1 spent after $2,499. The Minimum Spend for each tier excludes dollars spent on tax and shipping. Members may be downgraded to a lower tier for two reasons. First, a Birdie or Eagle member may be downgraded to a lower tier if the member has not satisfied the Minimum Spend required for the higher tier in the last 365 days. Second, a Birdie or Eagle member may be downgraded to a lower tier if the member returns an order or products and the Points earned from that order or products decreases the member’s dollar amount spent in the last 365 days below the Minimum Spend required for the higher tier. Members will have access to the benefits in their current tier and the tiers below them. For a full list of benefits available to members, please see our Program FAQs here. Free Shipping: This benefit entitles eligible members to free shipping on orders shipping to the continental U.S. only, excluding P.O. Boxes. Members must be signed into their taylormadegolf.com account at the time of purchase. This benefit cannot be applied to previous purchases and cannot be redeemed for cash. Early Notice of Online Exclusives: This benefit entitles eligible members to receive e-mail notification regarding products offered exclusively on taylormadegolf.com before others. This benefit does not guarantee availability of products. 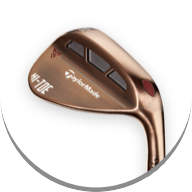 Free Personalization: From time to time, TaylorMade may offer eligible members to personalize their purchased products for free. If such offers are made, members are capped to a maximum of 12 product personalization requests every 365 days and one personalization request each month. Bonus Points: From time to time, TaylorMade may award eligible members bonus Points. Such Points are subject to the same terms and expiration as Points earned through member’s purchase of products. Invitations to TaylorMade Events: From time to time, TaylorMade may invite eligible members to exclusive TaylorMade events. In some instances, invitation to such events may be limited to members who are the age of majority in their state or over 21 years old. Where a member does not meet the minimum age requirement for an event, no substitution will be offered. All benefits are subject to change, discontinuance, limitations, and substitutions by TaylorMade, at its discretion and at any time without notice. 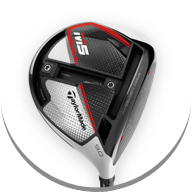 In order to redeem Points, a member must be logged into their taylormadegolf.com account. At checkout, a member’s available Points will be displayed and the member may elect to redeem Points. If a member elects to redeem Points, the applicable Points will be converted into redemption dollars and the value of the redemption dollars will be deducted from the total price of the Member’s purchase. Points are converted into redemption dollars as follows: 30 points = $1. Points may not be converted to or exchanged for cash. In the event of a return of merchandise purchased using Points, the Points redeemed will be credited back to the member’s account. Members are responsible for maintaining the confidentiality of their account and password, and are fully responsible for any and all activities that occur under their account or password or any other breach of security. The Program is for members’ personal use only. 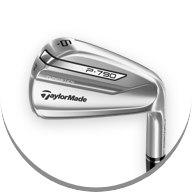 The transfer, sale, or barter (or the attempted transfer, sale, or barter) of Points or corresponding benefits, and any misrepresentation of fact relating thereto, may result in cancellation of the member’s account and participation in the Program, including cancellation of any unused Points or benefits in TaylorMade’s sole discretion. 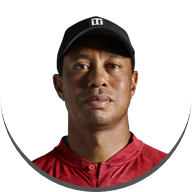 You may cancel your Program membership at any time by logging into your taylormadegolf.com account, navigating to My Account, Loyalty Program, and selecting the option to opt-out. We may cancel your Program membership at any time in our reasonable discretion, including, but not limited to, if we determine that you (a) are ineligible, (b) have not used your account for an extended period of time, (c) violated any term or condition of the Program or any applicable law or regulation, or (d) engaged in any deception, forgery, fraud, or committed any other abuse of the Program. We may revoke some or all of your Points or benefits if we determine that you received them in error, due to fraud or deception, or in any manner not authorized. If you or TaylorMade cancels your membership, you will lose your accumulated Points. If you cancel your membership, you may rejoin the Program. When re-joining the Program, previously earned points will not carry over to your new membership. In all matters relating to the administration of the Program, the decisions of TaylorMade will be final. 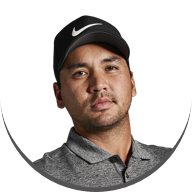 TaylorMade reserves the fight to change or cancel any aspect of the Program at any time. If we change these Terms, we will give you notice by posting the revised Terms here. The changes will take effect on the “Last Updated” date shown in the Terms. By continuing to participate in the Program, you are agreeing to the revised Terms. THE PROGRAM IS PROVIDED ON AN “AS IS” AND “AS AVAILABLE” BASIS. TO THE FULLEST EXTENT PERMITTED BY LAW, TAYLORMADE DISCLAIMS ALL WARRANTIES OF ANY KIND, EXPRESS, IMPLIED, OR STATUTORY, WITH RESPECT TO THE PROGRAM, INCLUDING THOSE RELATED TO MERCHANTABILITY, FITNESS FOR A PARTICULAR PURPOSE, AND NON-INFRINGEMENT AND THOSE ARISING OUT OF COURSE OF DEALING, USAGE, OR TRADE. TO THE FULLEST EXTENT PERMITTED BY LAW, TAYLORMADE WILL NOT BE LIABLE FOR ANY INDIRECT, SPECIAL, INCIDENTAL, PUNITIVE, OR CONSEQUENTIAL DAMAGES, INCLUDING FOR THE LOSS OF PROFIT, REVENUE, OR DATA) ARISING OUT OF OR IN CONNECTION WITH THE PROGRAM, HOWEVER CAUSED, AND UNDER WHATEVER CAUSE OF ACTION OR THEORY OF LIABILITY BROUGHT, INCLUDING UNDER ANY CONTRACT, NEGLIGENCE, OR OTHER TORT THEORY OF LIABILITY, EVEN IF ADVISED OF THE POSSIBLIITY OF SUCH DAMAGES. TO THE FULLEST EXTENT PERMITTED BY LAW, TAYLORMADE’S TOTAL CUMULATIVE LIABILITY TO YOU OR ANY THIRD PARTY UNDER THESE TERMS AND THE CLUB, FROM ALL CAUSES OF ACTION AND ALL THEORIES OF LIABILITY, WILL BE LIMITED TO AND WILL NOT EXCEED THE DOLLAR AMOUNT YOU HAVE ACTUALLY PAID TAYLORMADE DURING THE TWELVE (12) MONTHS PRECEDING THE CLAIM GIVING RISE TO SUCH LIABILITY. Without limiting the arbitration agreement set forth below, you agree that any action of whatever nature arising from or relating to these Terms or the Program will be filed only in the state or federal courts located in the County of San Diego, State of California. You consent and submit to the personal jurisdiction of such courts for the purposes of any such action. By enrolling in and participating in the Program, you agree that all disputes you may have with, or claims you may have against TaylorMade arising out of or connected in any way with (a) the Program, (b) these Terms, or (c) the determination of the scope or applicability of this agreement to arbitrate (each a “Claim”), will be resolved through binding and final arbitration instead of through court proceedings. You and TaylorMade hereby waive any right to a jury trial of any Claim. All Claims shall be submitted for binding arbitration in accordance with the Rules of the American Arbitration Association (“AAA Rules”) in San Diego, California. The arbitration will be heard and determined by a single arbitrator. The arbitrator's decision in any such arbitration will be final and binding upon the parties and may be enforced in any court of competent jurisdiction. The parties agree that the arbitration will be kept confidential and that the existence of the proceeding and any element of it (including, without limitation, any pleadings, briefs or other documents submitted or exchanged and any testimony or other oral submissions and awards) will not be disclosed beyond the arbitration proceedings, except as may lawfully be required in judicial proceedings relating to the arbitration or by applicable disclosure rules and regulations of securities regulatory authorities or other governmental agencies. If you have any questions about the Program, please contact Customer Service at 1-877-860-8624. PLEASE MAINTAIN A COPY OF THESE TERMS FOR YOU RECORDS AND PLEASE CHECK HERE FREQUENTLY FOR ANY CHANGES TO THESE TERMS.